I can’t believe Christmas is right around the corner! 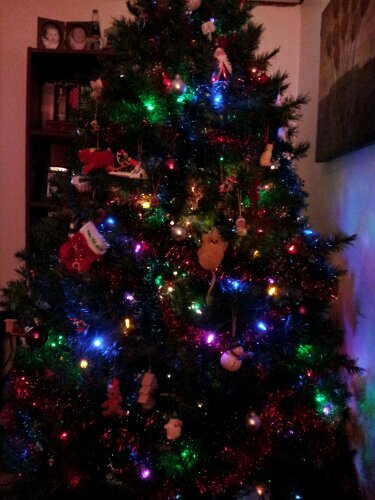 Here’s our completed Christmas Tree… cat-proofed, that is. Meaning only a few ornaments near the bottom because our cats like to rip them off and bat them around the house with their greedy little paws. Nathan is doing awesome with the tree. He’s allowed to look at the ornaments and even touch them as long as he doesn’t remove them. So far, so good. He’s only taken a couple of them off and tried to play with them, but after being “grounded” from touching the tree for a certain amount of time, he quickly learned. We have just about all our shopping done. All that’s really left is wrapping. And telling you guys something really super awesome that I bet you aren’t expecting to hear. 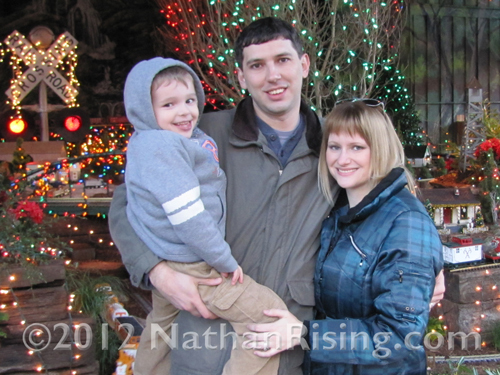 Well, the good news is that Nathan is going to be a big brother!! That’s right, we’re pregnant with baby #2. I’m 18 weeks along, due around May 20th. We wanted to wait until I was out of my first trimester to announce it, and then I was afraid if I said something, I might jinx it and something bad would happen. (Pregnancy hormones for ya.) But everything is great! Baby is doing awesome, the puking has subsided drastically, and I’m finally getting some of my energy back. Nathan is excited about being a big brother, and he apparently thinks the best way to communicate with the baby is via my belly button. Seriously, he uses it like a microphone to talk to the baby and I think it’s quite possibly the cutest thing ever. Other than newborn baby feet, that is. And baby hedgehogs. I digress. So we have an exciting time ahead of us, and we are super excited about our new addition! THIS article is just one example of why me and my family try to avoid genetically modified foods at all costs.